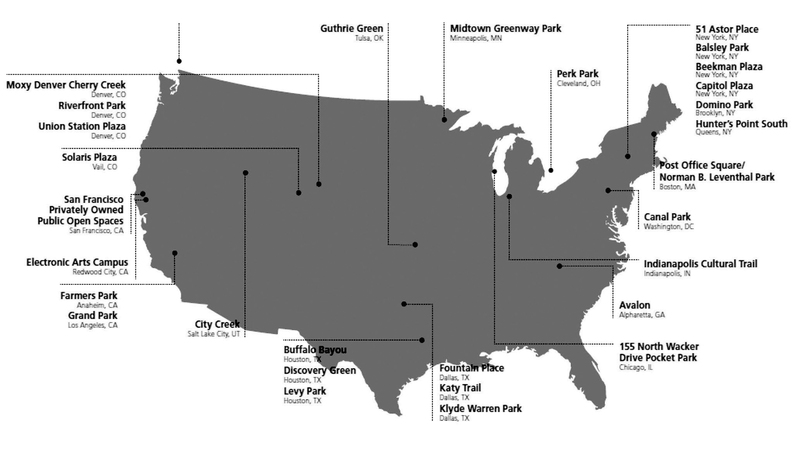 This research project analyzed the financial and health benefits related to private sector-supported park and open space development across 30 U.S. sites. The study focused on health and economic metrics in order to demonstrate the benefits of developer-supported open spaces. Findings concluded that developers can improve community health and wellness, boost economic development, and enhance a project’s financial success; developer-supported parks can enhance long-term real estate value; programming can strengthen the overall value and marketability of associated projects; and park creation can help secure community buy-in, public sector support, and zoning incentives. The project included analysis of 11 SWA-designed projects and found both health and financial benefits. These advantages existed in all development phases—planning, marketing, completion, and operations and maintenance. Methods included interviews with stakeholders, literature review, and web-based research. SWA co-led the project proposal and provided information and data to Urban Land Institute (ULI) researchers. This project was supported by the Robert Wood Johnson Foundation and ULI. The project continues SWA’s research on post-occupancy assessment and health. Sharon Cohn, Solaris Redevelopment Co.